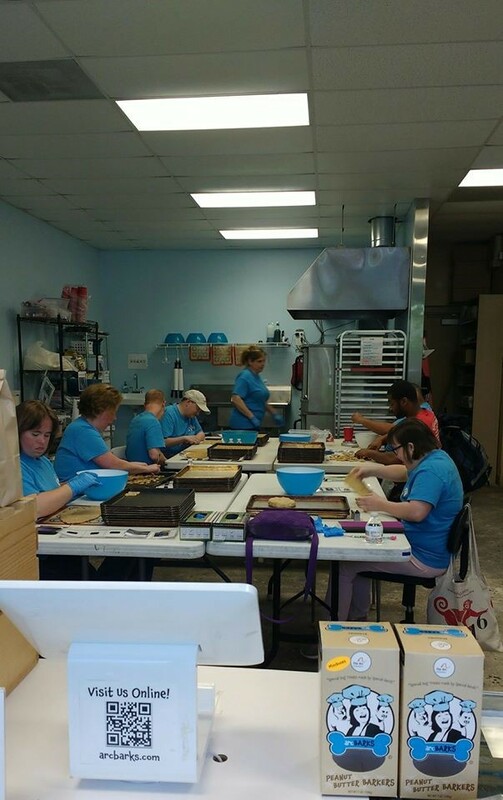 The Arc of Greensboro is committed to securing for all people with intellectual and developmental disabilities the opportunity to choose and realize their goals of where and how they…….LEARN, LIVE, WORK & PLAY. Please remember that The Arc is not an acronym! The healthcare fight is not over and we need your help! The Senate voted to begin debate on the health care bill, and over the next few days will be voting on various proposals to repeal the Affordable Care Act. You can learn more about the process here. Many of these proposals will deeply cut the Medicaid program and cause millions of people to lose health care coverage and threaten access to home and community based services. The next few days are critical: Your Senators must hear from you about the importance of Medicaid in the lives of people with disabilities! 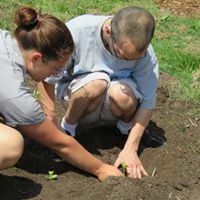 This is the civil rights fight of our time, and we need advocates like you to remain vigilant to protect all that has been built to ensure the inclusion and equality of people with intellectual and developmental disabilities in our society. 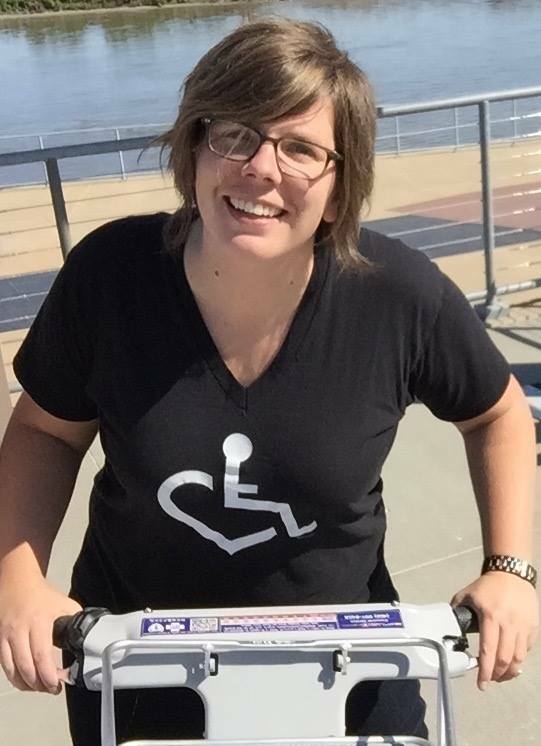 I am a person with I/DD (or a family member of someone with I/DD, or a professional in the disability field). I (or my family member) depend(s) on Medicaid long term supports (or home and community supports) to live in my/our community. Please OPPOSE any legislation that will cut or cap Medicaid. These types of cuts would be devastating to me/us and other people with disabilities and their families. As the disability community battled against efforts to cut and cap Medicaid over the last several months, we have shown our strength, our power, and The Arc thanks each and every advocate who has stepped up in this fight. It is our pleasure to welcome Megan Parker on board as the Clay Studio Manager with RemArcable CommUNITY and member of our Arc team. 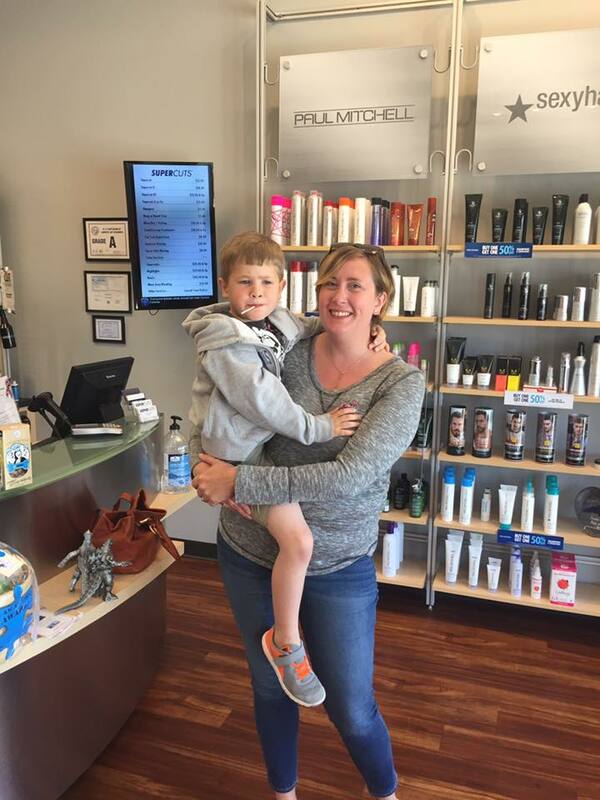 Megan joins us with 20+ years of professional experience in working with and along side individuals with I/DD. 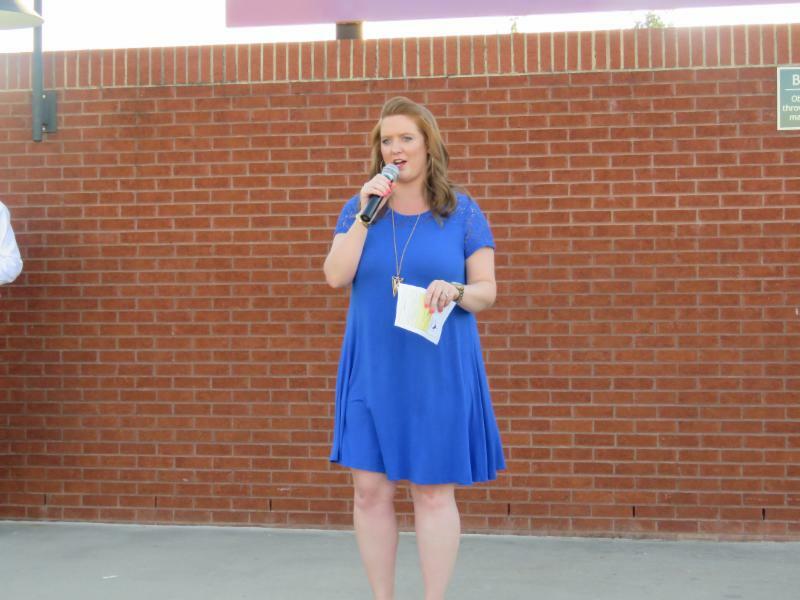 She brings a true passion and a fun, positive attitude to work towards setting and achieving goals for the organization, program and individuals served. We are proud to have her on board! The Arc of Greensboro would like to welcome our new staff member Latonya Jones. She is the new Employment Specialist/Community Navigator Staff member. Latonya has a wealth of experience in the IDD/Mental Health field. 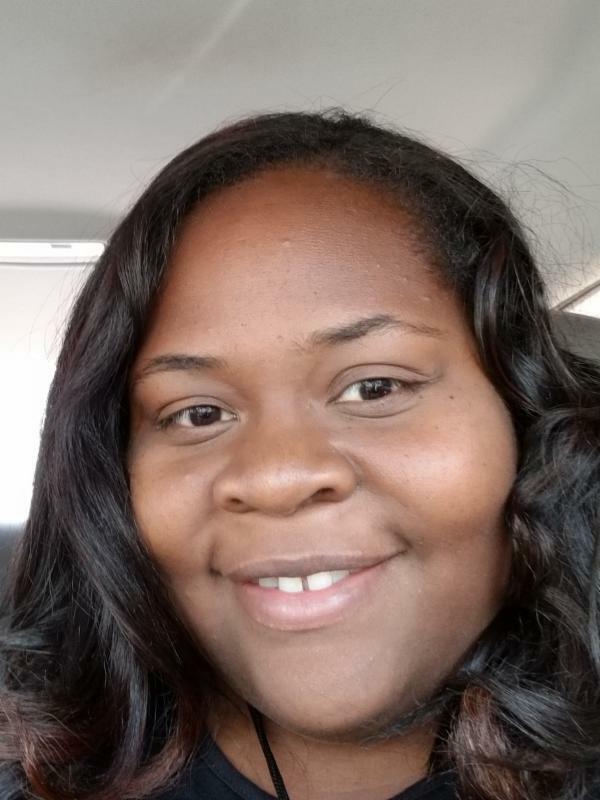 Latonya has a Master’s Degree in Health Services Administration. The Arc is excited to have Latonya join our team and provide the advocacy support that our consumers require each day. 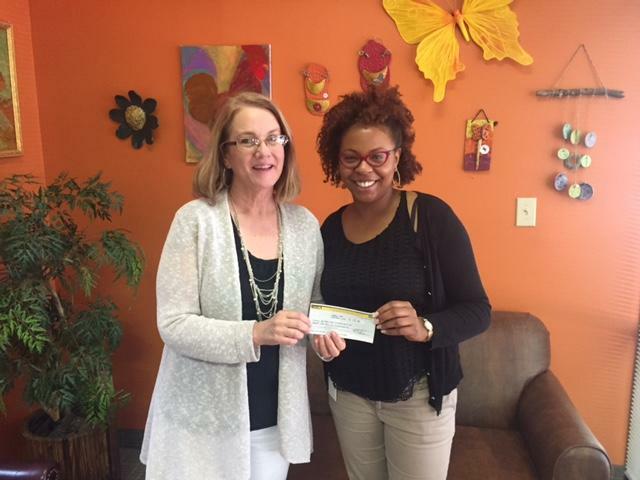 Latonya’s respect towards helping others and commitment to making a difference in a consumer’s life is a wonderful asset to The Arc of Greensboro Team. Supercuts located on Lawndale and Battleground. 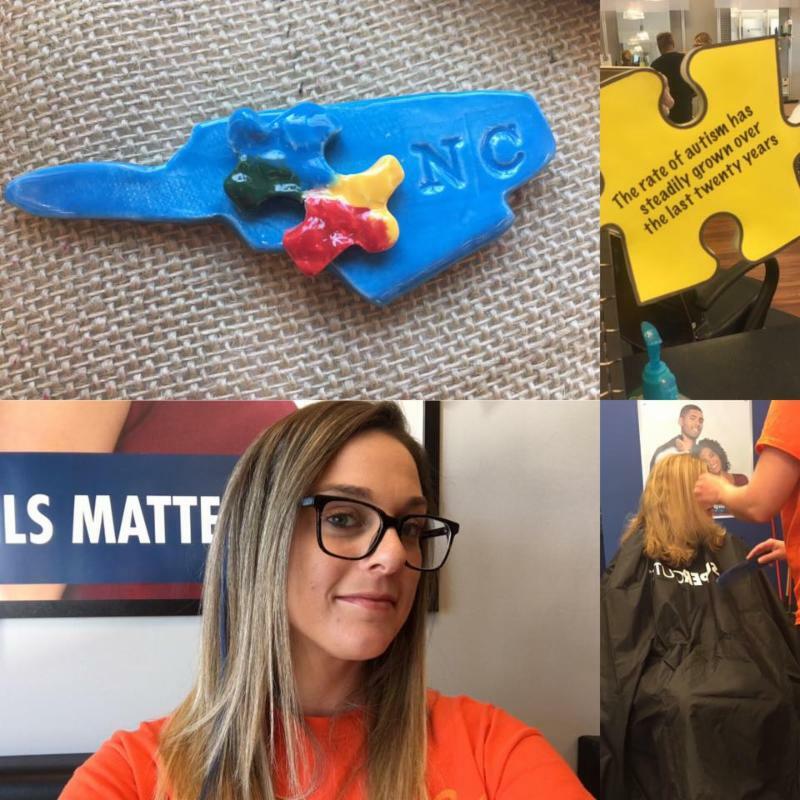 Supercuts will match dollar amount donation toThe Arc of Greensboro! We are also selling Artwork & arcBARKS at both locations The salons will open one hour early to accommodate children with special needs on April 9th and April 23rd. Sunday, April 9th we had WFMY News 2 at our Battleground location covering the event. 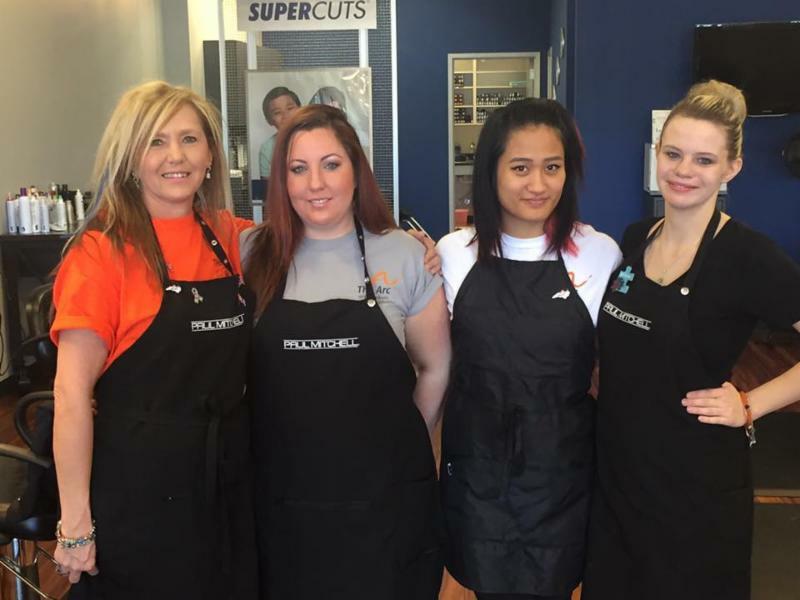 Thank you Supercuts and to everyone who made the month of April a successful month of raising awareness for acceptance! 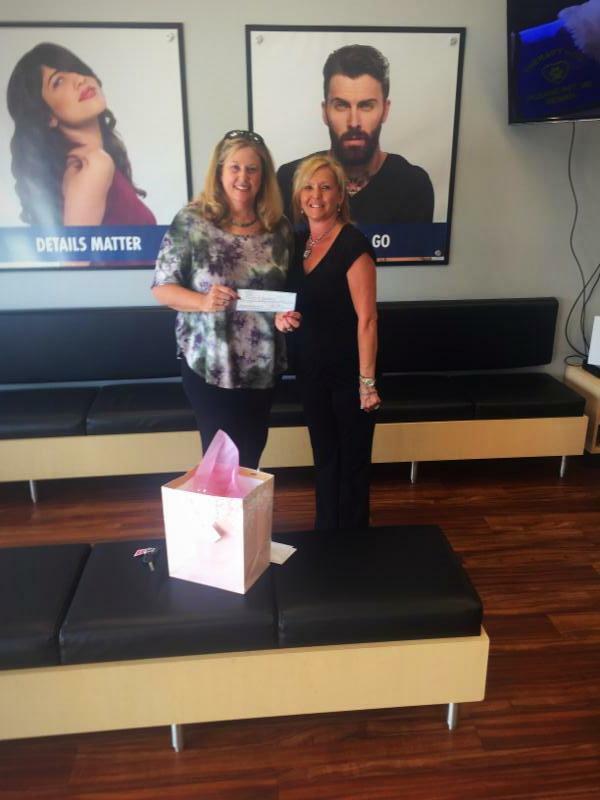 Linda Yurko, ED accepting check for Arc of Greensboro from Karen Dew, Salon Manager for $772 (matching funds) Thank you! 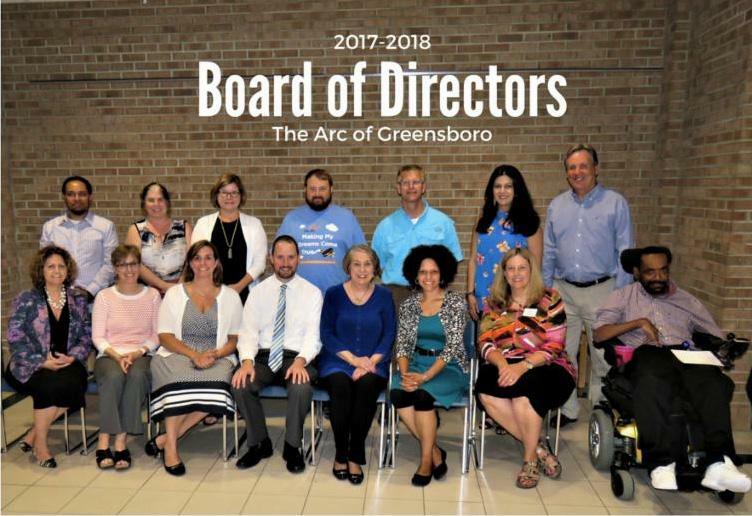 The Arc of Greensboro would like to recognize and thank the following groups and organizations for selecting The Arc as a recipient to a percentage of their fundraising proceeds. Your thoughtfulness and generosity are greatly needed and appreciated! 10% of proceeds went back to The Arc of Greensboro. Tatiana Chin delivers check for $175.00. 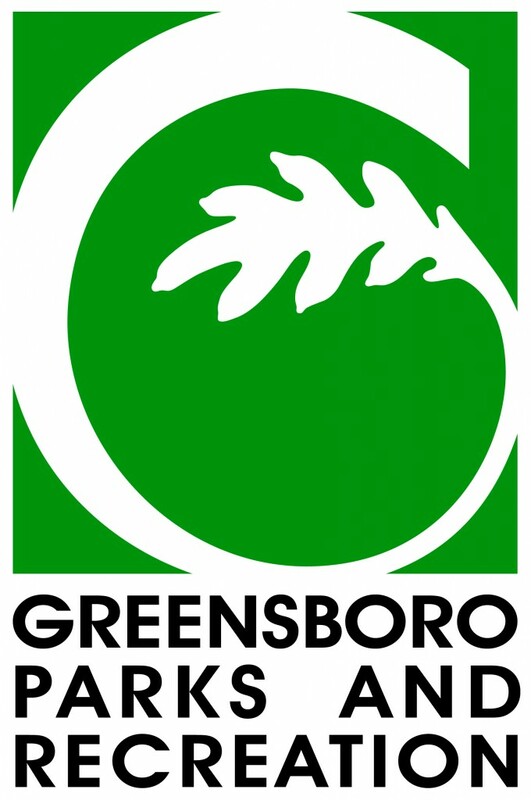 10% of proceeds from merchandise sales were donated to The Arc of Greensboro. 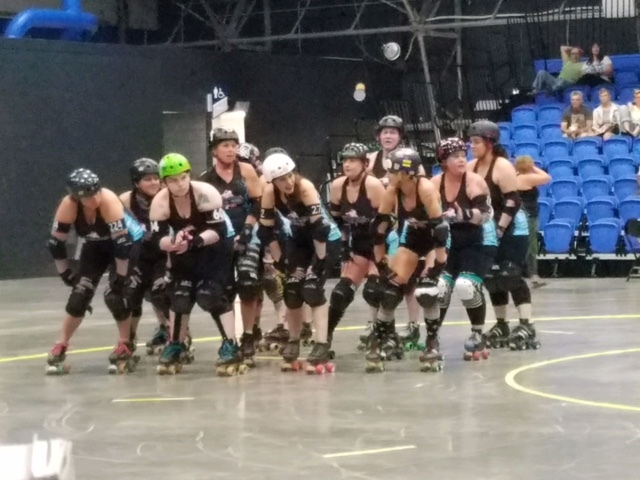 We received $100 from this event! 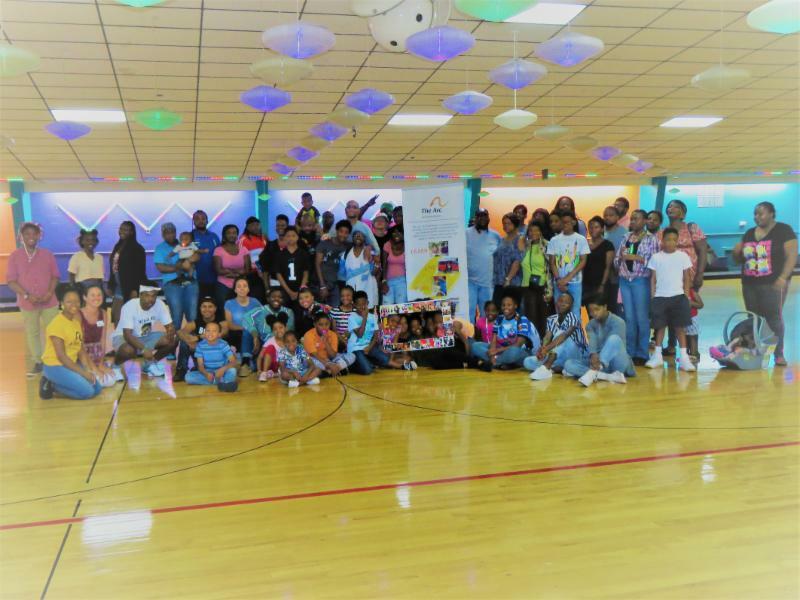 St. Paul Baptist Church invited The Arc of Greensboro to set up an information table and donation box at their Roller Skating fundraising event in efforts to give back to their community. We raised $172.00 during the event! 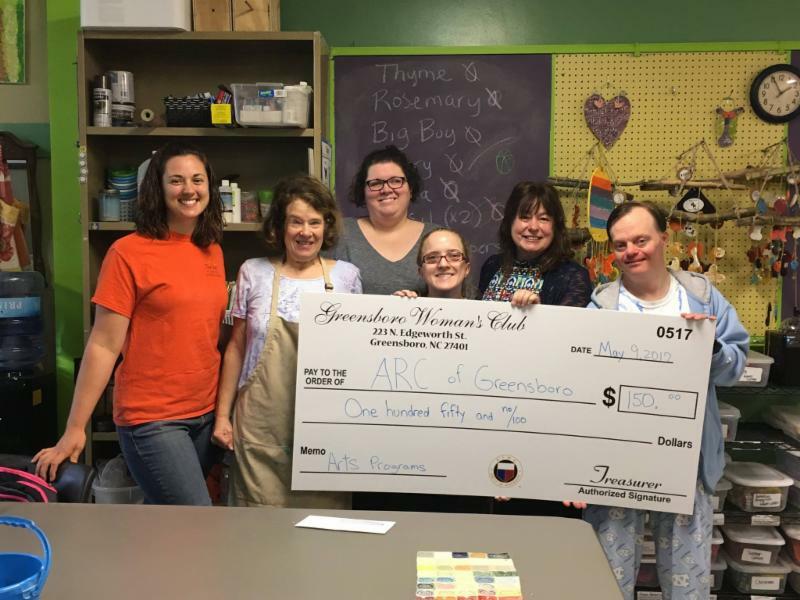 RemArcable CommUNITY's art program was honored to receive $150 donation by The Greensboro Women's Club! Who doesn't love big hearts and big checks? 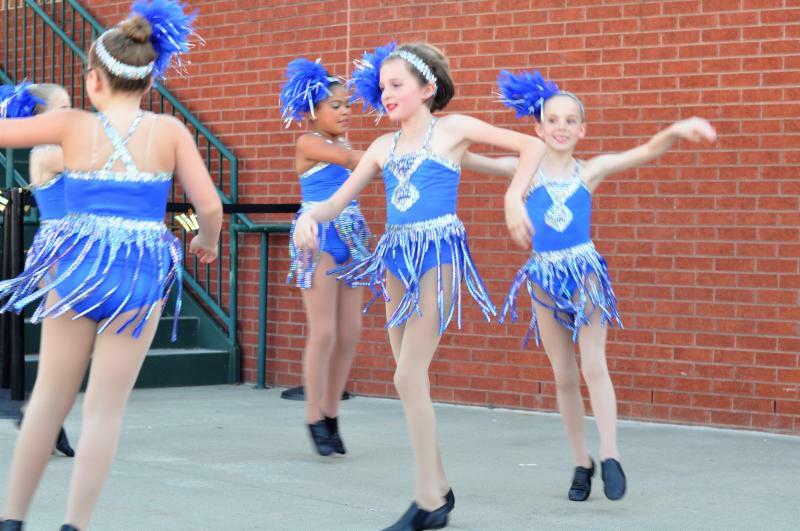 T hank you to everyone who came out to support The Arc of Greensboro and our Dancers! 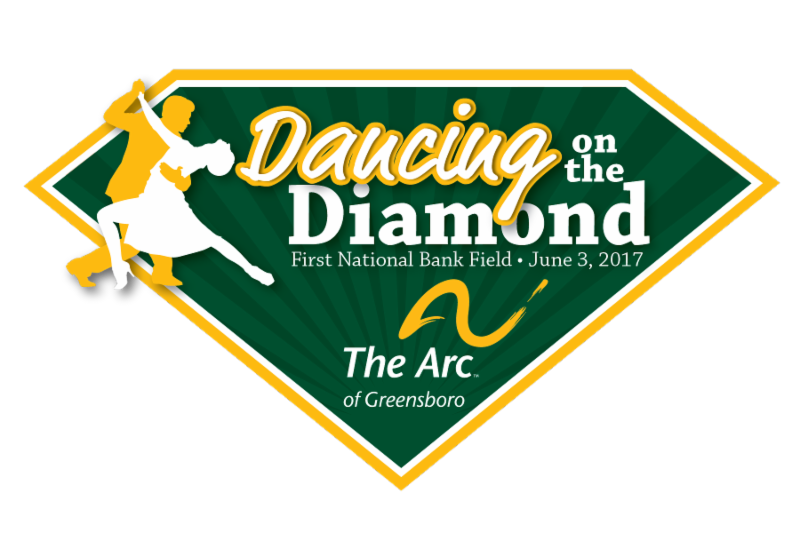 We are extremely grateful to all of our sponsors, donors and dancers and of course First National Bank Field and Grasshopper staff. 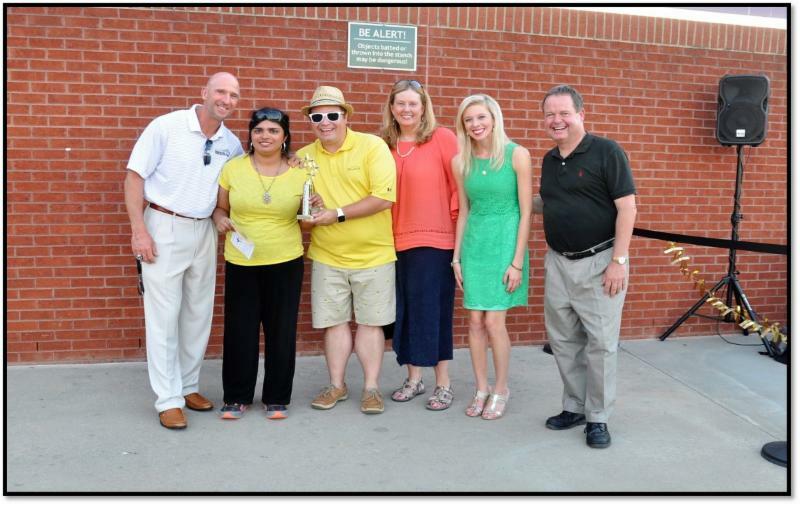 Each of you helped make our 3rd Annual Dancing on the Diamond FUNdraiser event a success. 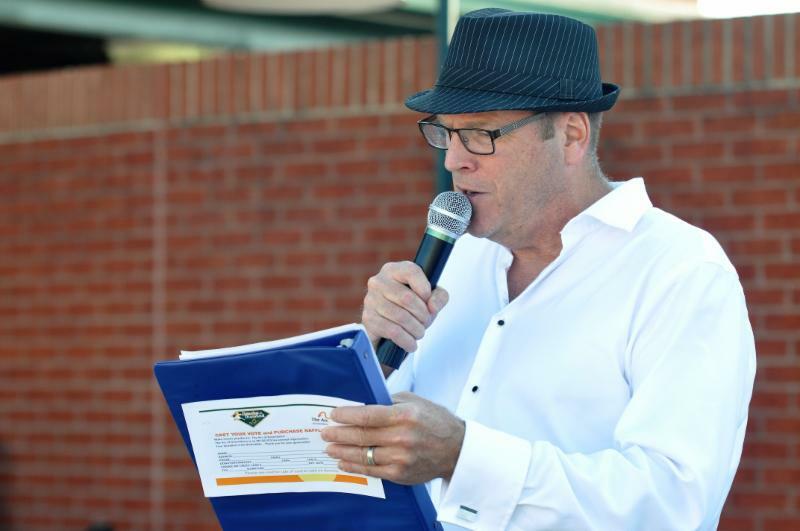 Through voting, event and raffle tickets we were able to raise $32,200. Our Top Fundraising Couple raised $5,000 by themselves! All money raised will go back into our programs so we can continue to help extraordinary people lead ordinary lives . 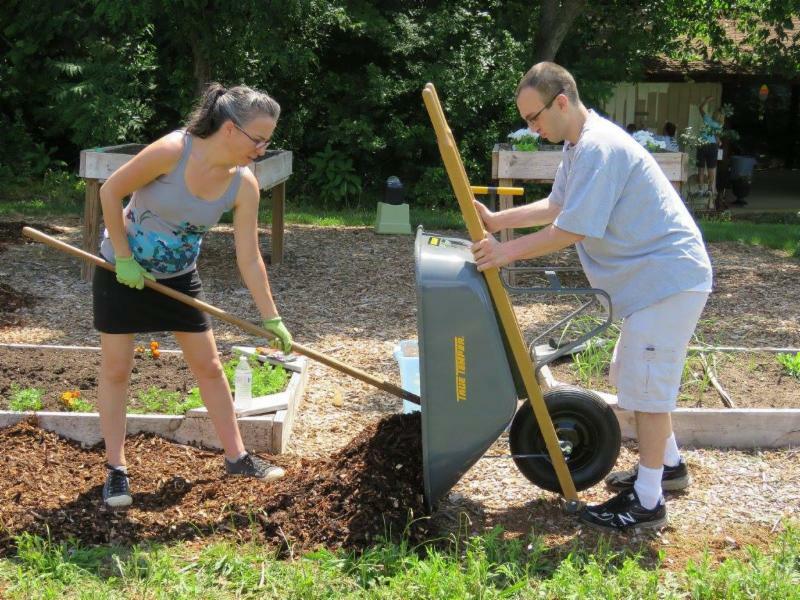 Seven employees from Daly Seven met us in the garden and set out to do big things! 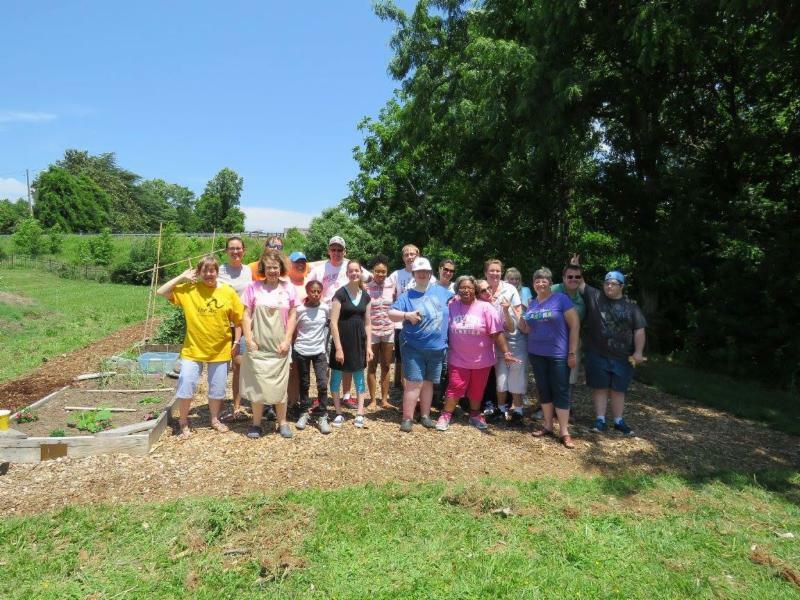 This was a wonderful group to work with and they went above and beyond to contribute to our hearts and our garden. 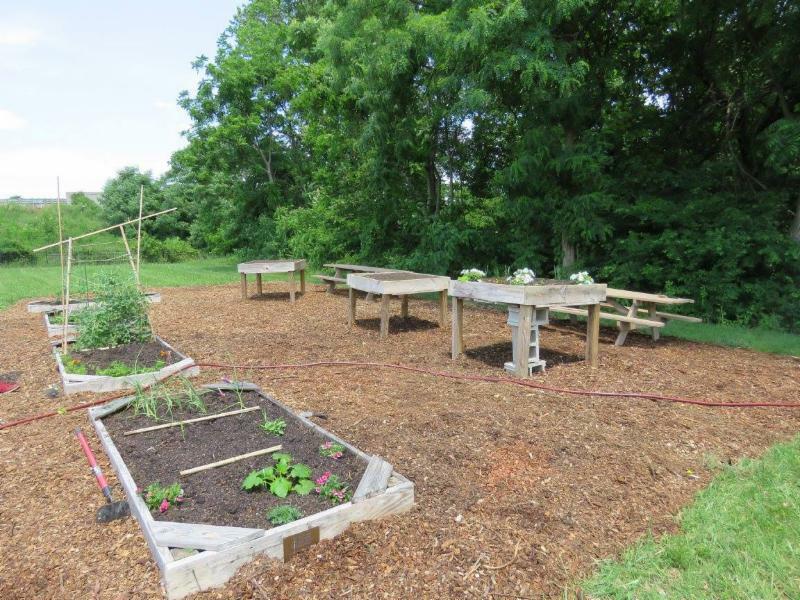 We had several projects lined up including, spreading fresh mulch over entire area, weeding, building a composting area, amending soil and painting two picnic tables and storage shed. 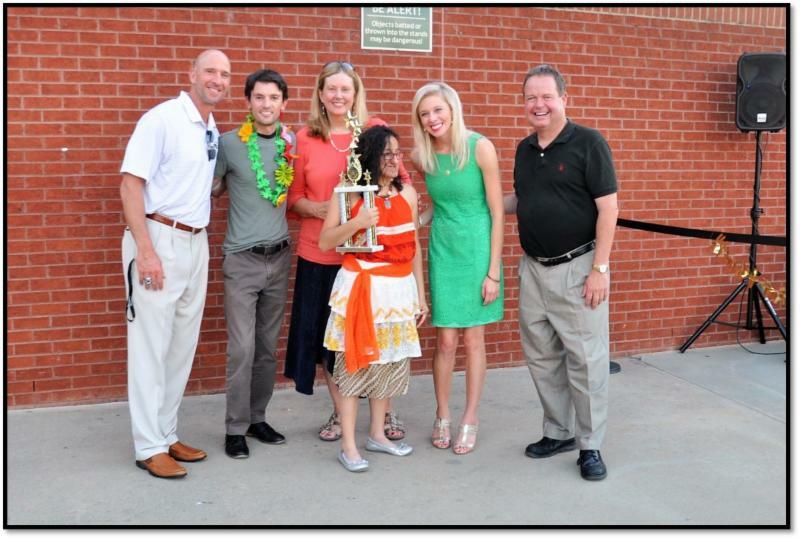 They not only helped us reach all of these goals, but they provided a healthy lunch catered by Zoe's Kitchen, for all! 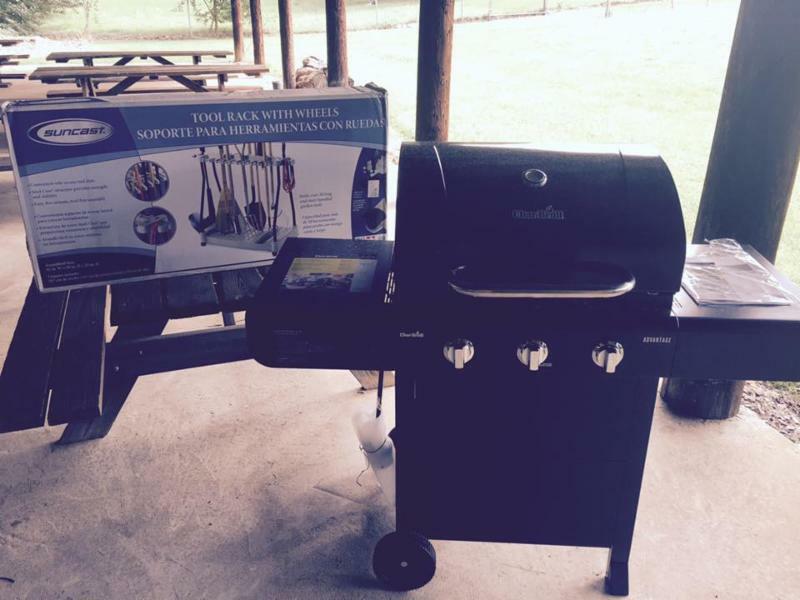 Then, in the weeks following our work day they donated and delivered a brand new grill and tool organizer. It is so heartwarming to have worked with such a thoughtful and generous group. Thank you, Daly Seven! 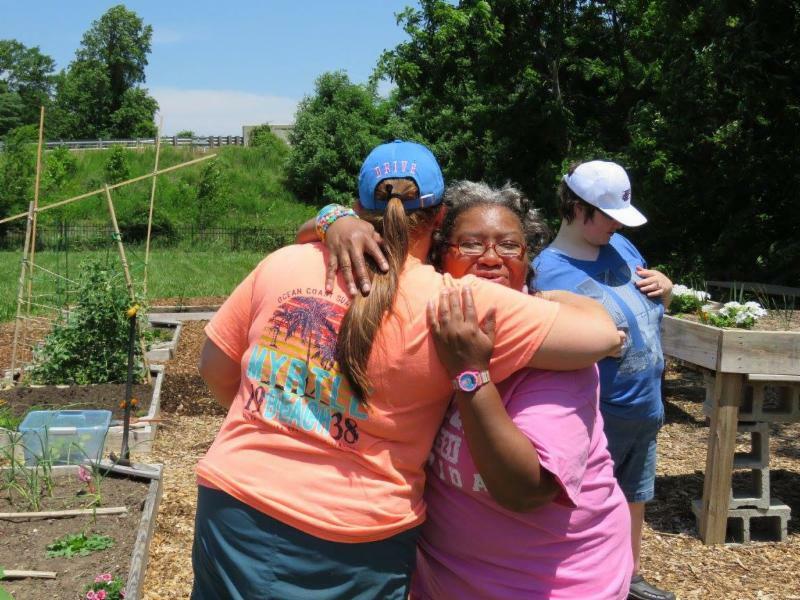 Building community is what we are all about! The donated tool organizer stand and gas grill for community based cook outs! 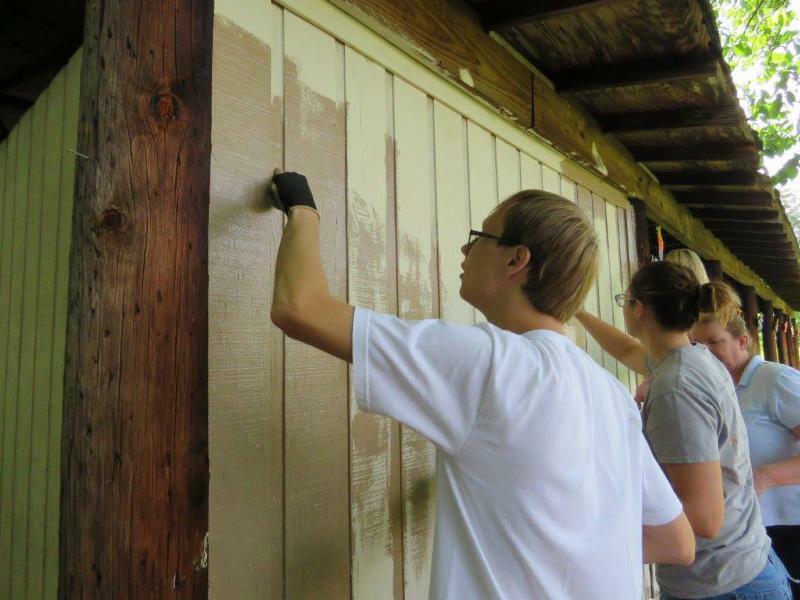 Our storage shed needed a fresh coat of paint! The finished product! All ready for the summer plantings. 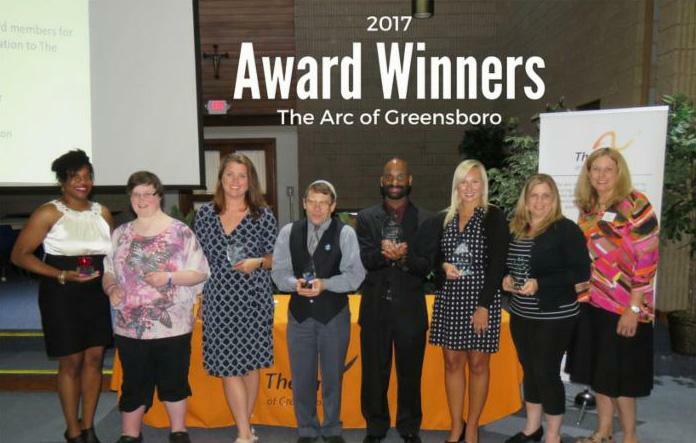 The Arc of Greensboro has an annual opportunity to acknowledge outstanding contributions made by individuals or groups on behalf of children and adults with intellectual and related developmental delays. 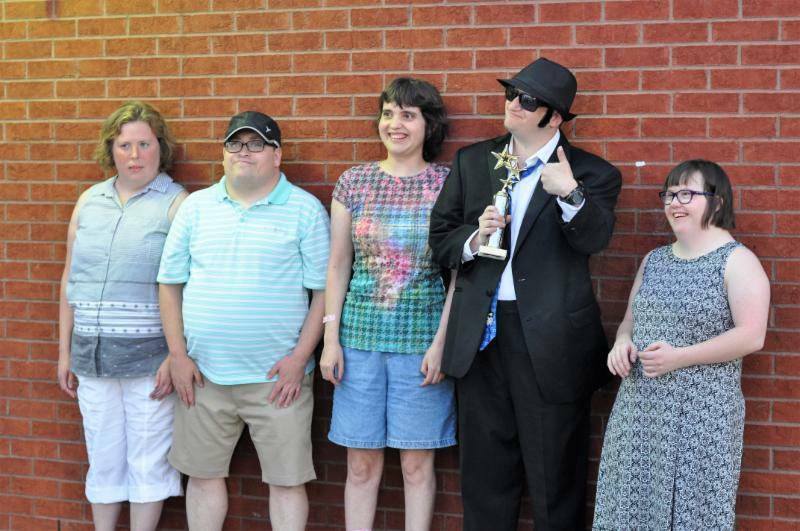 The categories of awards listed below are definitive of persons or groups who have enhanced the quality of life, services and programs for individuals with intellectual and related developmental delays. The Arc Awards Committee will review each nomination very carefully. 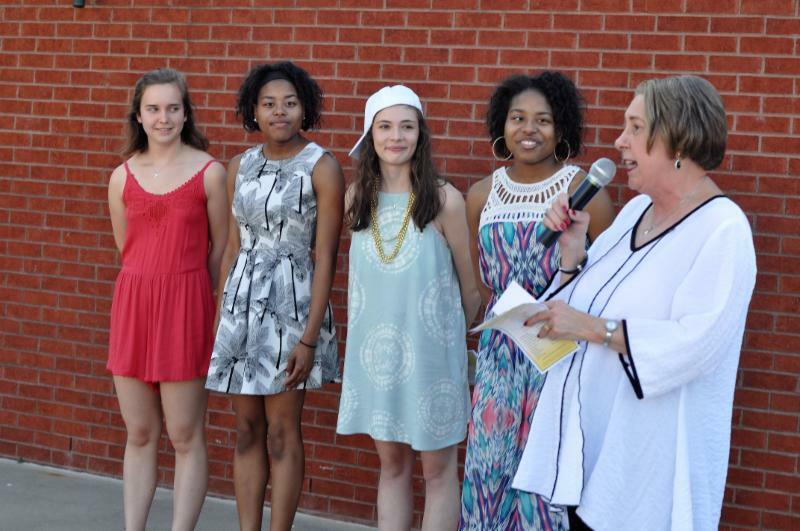 The Arc award winners will also be nominated on the state level. 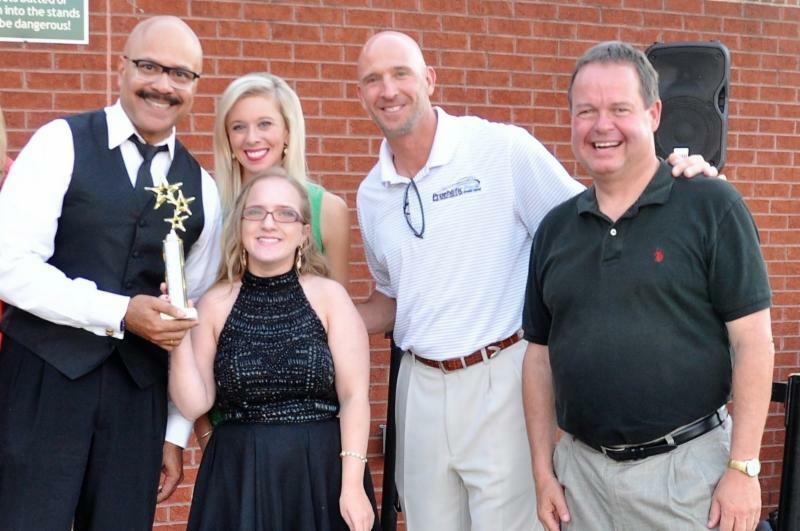 The Arc/NC award winners will in turn be nominated for national recognition. 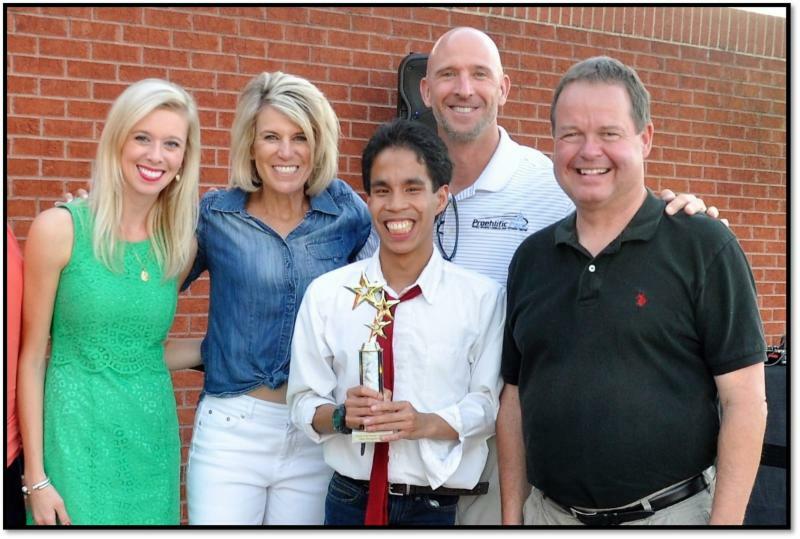 The Marina Wilder Award for Distinguished Service - To honor an individual or organization that has contributed, in a distinguished manner, to the promotion of rights of and/or services to North Carolina citizens with developmental disabilities. Employer of the Year - To recognize employers having exceptional records of providing inclusive competitive employment opportunities for people with developmental disabilities. 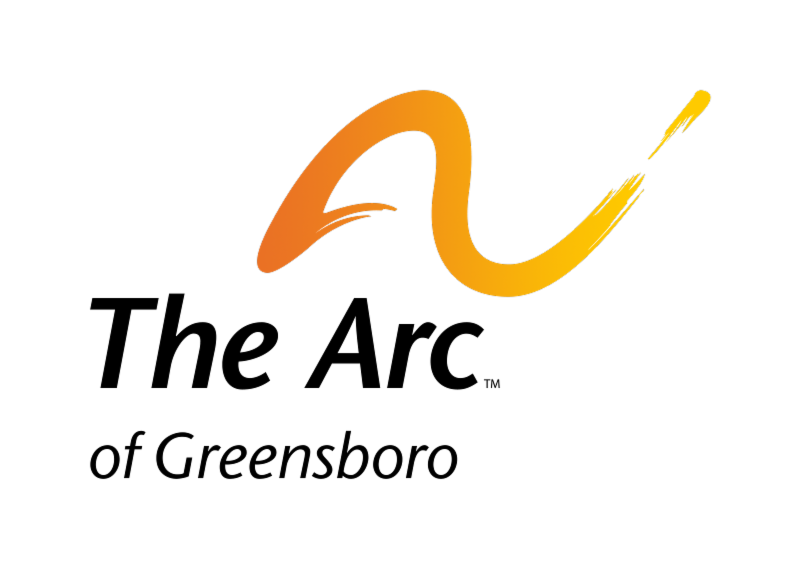 Distinguished Educator Award - To recognize an educator (special or general education, preschool, K-12, private or charter, or higher education educator) who has demonstrated excellence in teaching students with developmental disabilities, working in or toward more inclusive education. Volunteer of the Year - To recognize a volunteer who has given generously of time and talents to accomplish the mission of The Arc. Ruth Edwards Award, Direct Support Professional Award – To recognize extraordinary commitment by an individual employed to provide direct support, or service, to a person/people with developmental disabilities. 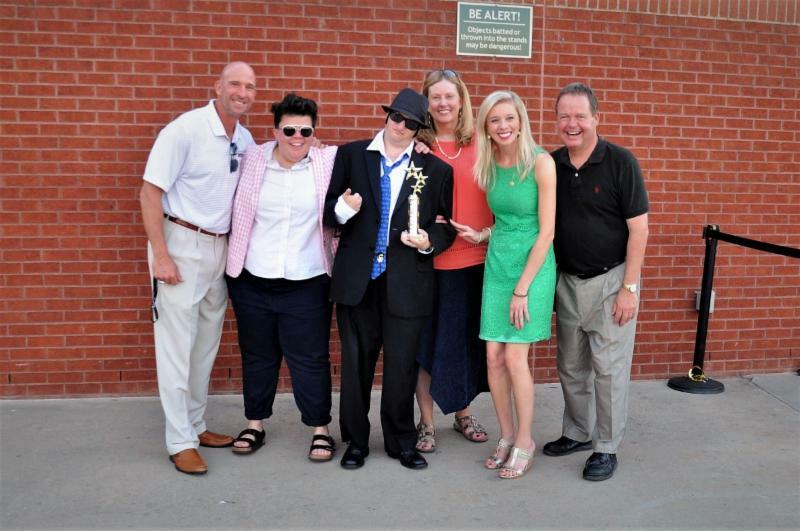 This award honors a person whose support fosters growth, independence, community inclusion and dignity. Consumer of the Year Award – To honor an individual with intellectual and/or developmental disabilities who is an achieving integrated member of his or her community. 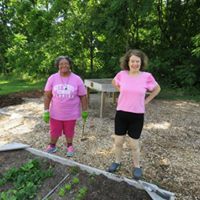 Victor Hall Leadership Award -To recognize leaders in the self-advocacy arena, The Arc of Greensboro is requesting nominations of outstanding leaders in the self-advocacy field. 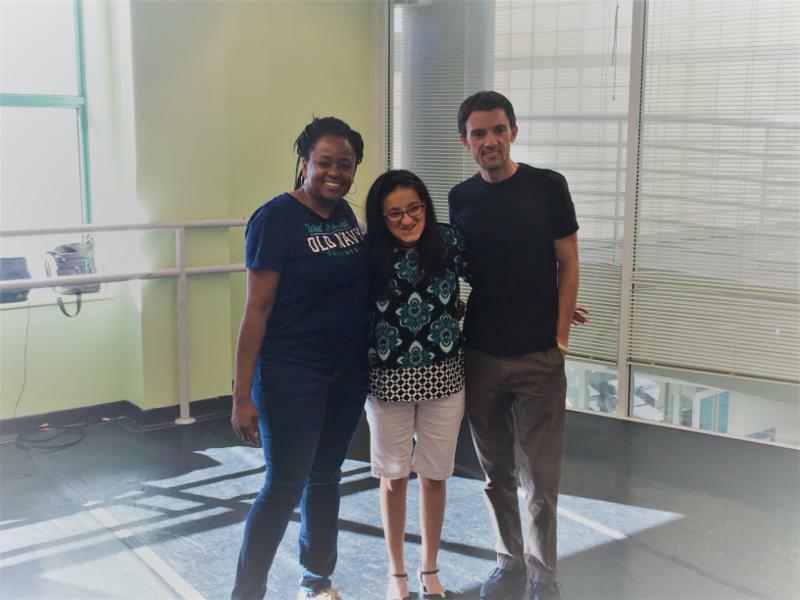 We are looking for people who are actively advocating, organizing, collaborating and/or working to increase the voice and power of people with disabilities. L to R: Sheilalisa Callwood, Distinguished Educator of the Year; Jamey Gaddy, Consumer of the Year; Jennifer Tate, I/DD Professional of the Year Award; R.V. Kuser, Victor Hall Leadership Award; Robert Callaham, Ruth Edwards Direct Support Professional of the Year Award; Kathleen Duckworth, Sibling Award; Nancy Overby & ( Wayne Overby not pictured), Volunteer of the Year; Linda Yurko, Executive Director and not pictured, Maggi Gurling, The Marina Wilder Award. 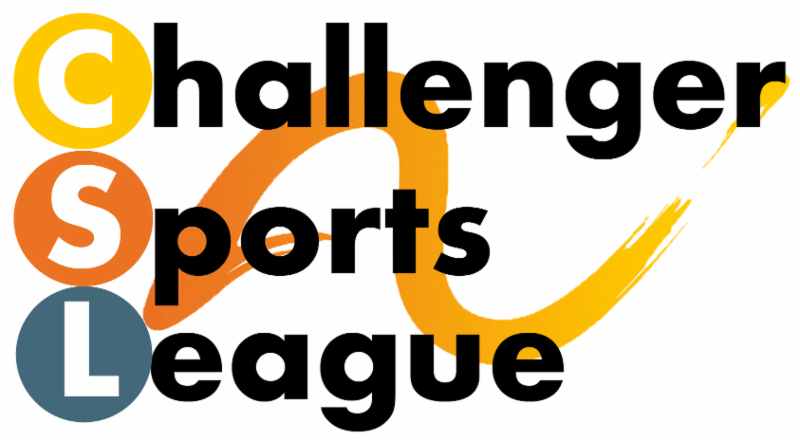 Challenger Sports League is an adaptive and non-competitive sports league open to ages 5 years and older. 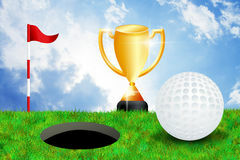 Athletes participate in seasonal sports including baseball, basketball, bowling and tennis. 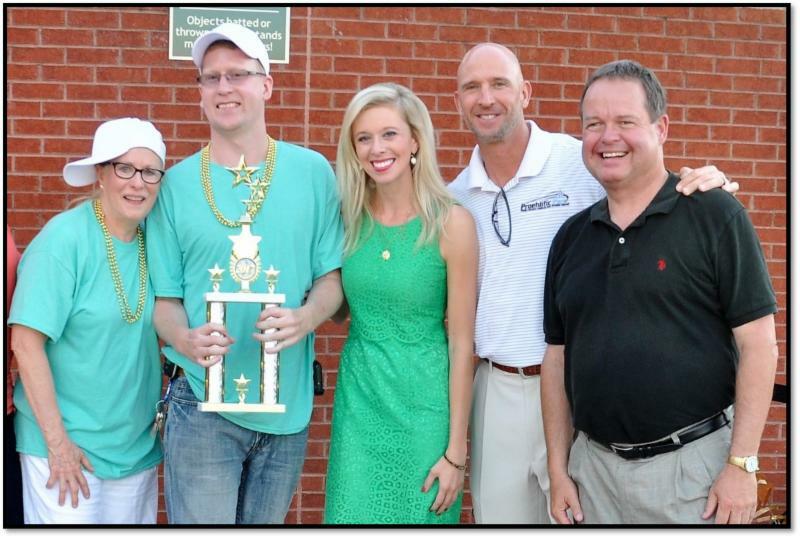 The Arc of Greensboro partners with Greensboro Parks & Recreation, Proehlific Park and The Carolina Panthers to bring Greensboro the first ever adaptive Flag Football League! Both flag football and fall baseball will be played on Saturday mornings. 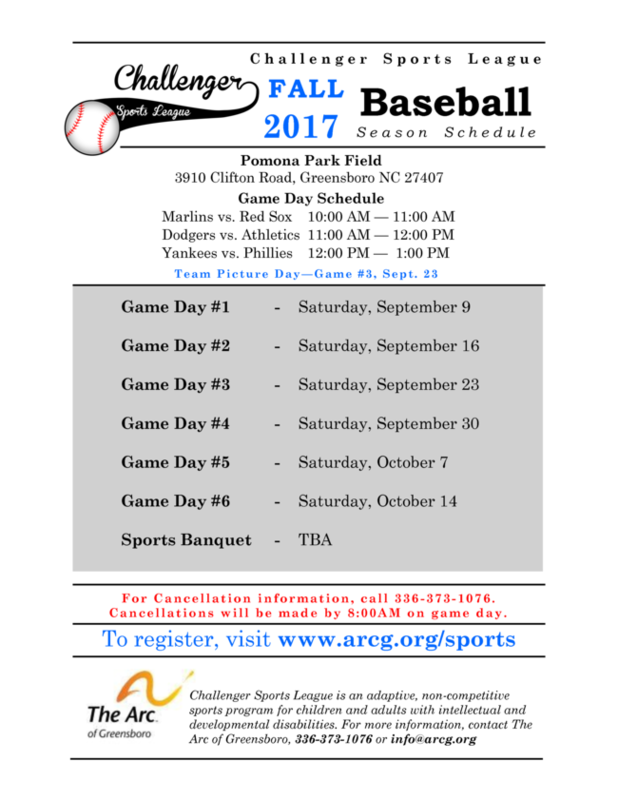 Fall 2017 Baseball schedule is posted below. 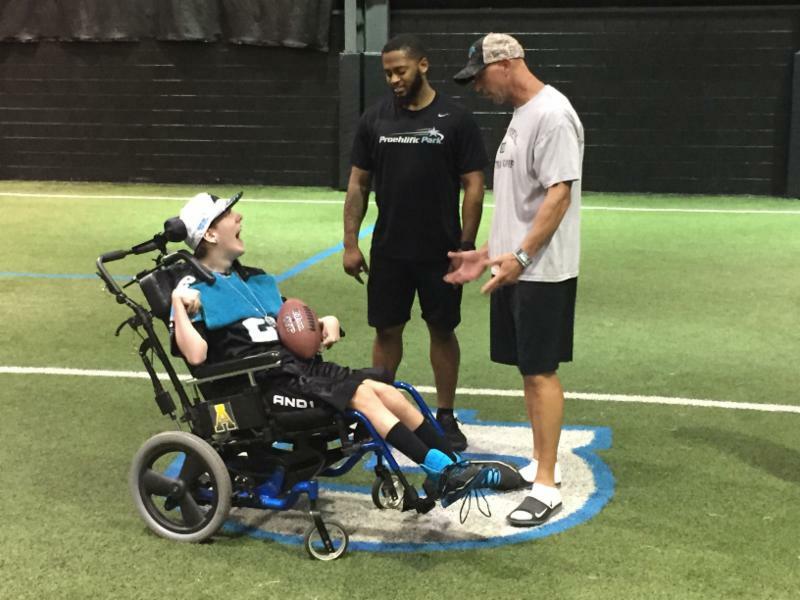 Flag Football participant and huge Carolina Panthers fan, Eric, meeting with Ricky Proehl for Fox 8 News coverage to showcase the exciting opportunity! 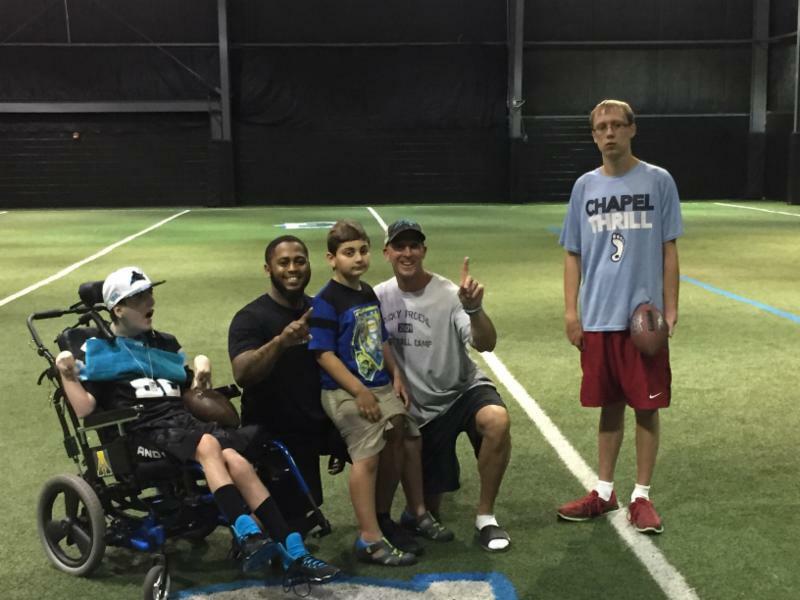 Photo on right: Eric Walker, Chris Kennedy, Performance Sport Lead Coach, Ozzy Peace, Ricky Proehl and Evan McCraw. 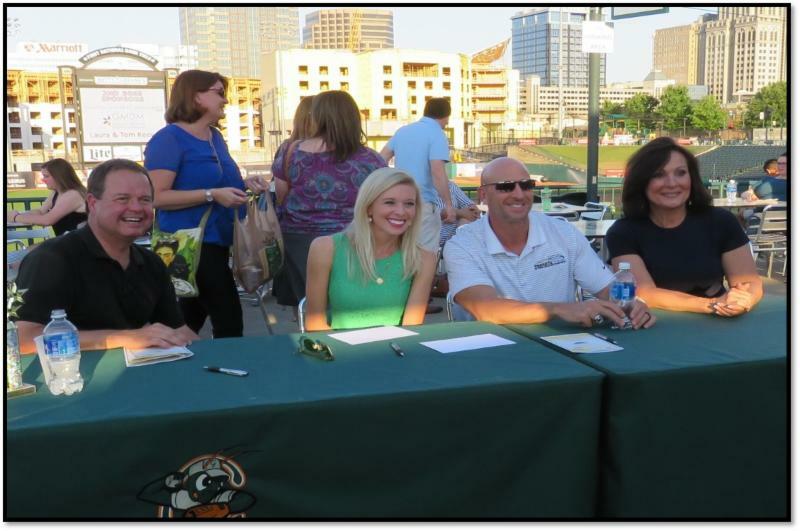 arcBARKS will be at a Community Table event at Lowes Foods in Winston-Salem! Anyone interested in participating should contact Don or Jessica by Friday, July 28 at 5:00 pm. 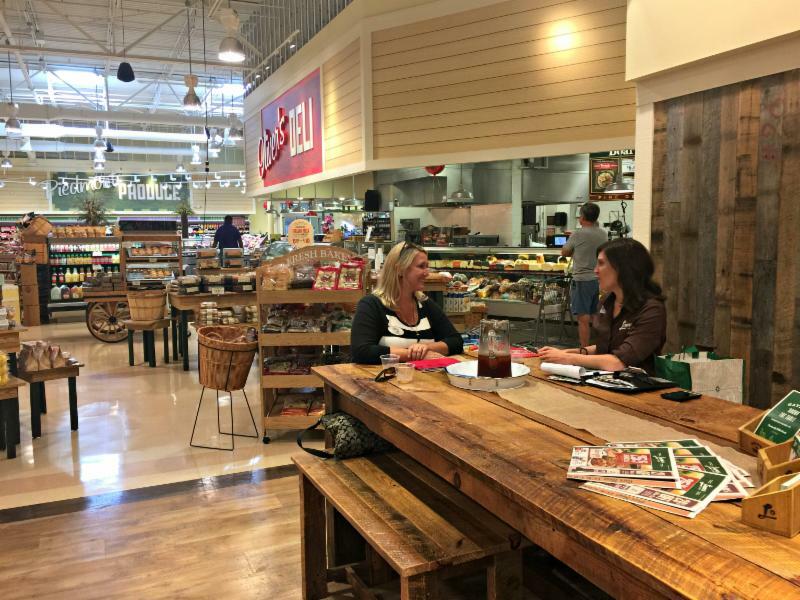 It will be a fun event where we talk to customers about our program and pass out samples!